Obtaining a college degree is more expensive than ever, what with the rising costs of tuition, room and board, and student necessities. Families are having to make tough choices in regards to their savings in hopes that they will be able to at least assist with their child’s higher education. However, putting money away is itself becoming more difficult, and in recognition of this, the State of Ohio is dedicated to advancing financial aid for incoming undergraduates as well as post-graduate students working towards a masters degree or doctorate. Many students and their families are unaware of the opportunities for assistance with tuition costs, whether in the form of a grant, student loan, scholarship or fellowship award. Much like the federal government, the State of Ohio makes every effort to see that every high school graduate is afforded the chance to continue his or her education. Preparing for the job world means completing a well-rounded core of college coursework, and securing a college degree is the best insurance possible for securing a well-paying position in the future. Students and their families are encouraged to review this material and discuss their options, even if a major has not yet been decided on. Many of these grants are student-specific, while others target young men and women earning their degree in a certain field. However, getting a handle on the terminology as well as an overview of how to apply for and obtain this type of financial aid is the first step in securing necessary funding for higher education. The average cost of tuition at a four-year public college or university is now well above $10,000. Only the wealthiest few can manage this cost on their own, while the majority of families realize that a tremendous gap must be narrowed between the expected total and the amount which can be supplied through savings and any sort of college fund. However, the dream of earning a college degree is no nightmare, thanks to the nearly limitless source of grant money offered in the State of Ohio. For the most part, grants administered by the State of Ohio are available to students who are a resident of the state, have earned a high school diploma or have been given early acceptance status by a public or private college or university located within the state. More than 40 institutions in Ohio participate in the state-funded programs, and although there are slight differences in the requirements for these grant awards, the obvious ones such as a satisfactory GPA, acceptable transcripts and the intention to complete a degree program apply to nearly all of the following grant opportunities. Students are encouraged to explore these in great detail, and to keep in mind that it is advantageous to apply for multiple grants. Also it is important to remember that not all of these programs have the same filing deadlines, nor are the amounts awarded concrete. Changes in state policies including the problem of setting aside funding through legislative action can affect the programs in terms of the amounts available, but should not discourage the student and his or her family from applying. Many of the grants administered by the State of Ohio involve the completion of a Free Application for Federal Student Aid, or FAFSA. This is the standard form completed when applying for federal college grant money, but is used by most state agencies because it provides a detailed summary of the actual financial need of the student and family asking for assistance. Further information on the FAFSA will be given in Section II. This program provides grant money to students who are enrolling in main-campus public colleges and universities, certain private, non-profit institutions and several colleges in the state of Pennsylvania. The program is administered by the Ohio Board of Regents and focuses on students who have the very highest levels of financial need. The grant is also available to eligible foster youth attending one of the public community colleges in the state. The amount awarded per student differs according to the financial need that is determined as well as the type of school in which the student will be enrolled. It varies from approximately $670 annually for full-time students at main campus public universities to as much as $1,800 annually for certain private, non-profit schools. This grant, once awarded, can be repeated in subsequent academic years, provided the student has a satisfactory performance and is continuing with the appropriate number of semester or quarter credits. For information on the OCOG, visit the website, where detailed information on the participating schools is outlined. These scholarships are awarded to students who are enrolling in a higher education program, specifically those who will be entering into a course of study that is considered a STEM field. STEM is the abbreviation for Science, Technology, Engineering, Mathematics and Medicine. Schools who wish to retain the talents of students showing proficiency in these areas participate in the program. A complete list of the participating schools can be found here. The amount awarded through this scholarship program ranges from $1,500 to $4,700 annually per student. The program is pushed very strongly by the state, which recognizes the need for graduates in these fields. It is expected that over eight million new jobs will be created before the year 2020 in the areas of aerospace, computer technology, alternate energy sources and medicine, and the STEM education fields will be among those whose graduates will find themselves in a very high-demand category. One of the most exciting programs in the state concerns the eligibility of veterans for residency status. Those having served at least one year in the armed forces honorably are, along with their dependents, immediately considered an in-state resident upon moving to Ohio. This means they can take advantage of in-state tuition rates and are eligible for all state subsidies including grants and scholarships. The Servicemembers Opportunity Colleges Consortium has 36 public colleges in the state as participants. The consortium promises college credit to be awarded for education and training during the time spent in the armed forces. In addition, the program accepts a responsibility for helping make veterans aware of all state grants, such as the Ohio College Opportunity Grant mentioned above. For information about the veterans educational assistance programs, individuals can contact the administration directly at efaes@regents.state.oh.us. This program links students to the workforce by reimbursing employers for a percentage of wages paid during the internship period. Students who join this program are deemed eligible if they are maintaining a satisfactory GPA, are working toward a degree in business, manufacturing, engineering or technology fields. The goal is to connect Ohio business with talented students who are ready to undertake an internship while still earning college credits. Employers may receive up to 50 percent reimbursement of wages paid for a 12-month period. After graduation, the student will be much more likely to obtain a full-time, permanent position with the company. A complete list of grantees and the areas they serve can be found here. This grant opportunity is for students enrolling in private, non-profit colleges in the state. It was begun as an effort to close the difference in tuition costs at a private college as compared to the annual tuition at a public university. Students are accepted for this grant equally, with no regard to family income or academic standing. Students must be enrolling full-time with the intention of earning a Bachelor’s degree. Currently the program offers up to $900 per year in financial assistance. The student can apply directly through the Ohio Board of Regents. Not all private schools in the state participate in the program, so it is imperative to check the latest information available for this grant. Individuals interested in this source of financial aid can contact the board at regents.ohio.gov. This is a needs-based tuition assistance program available to students and their families who are considered to be in the lower-income bracket. The program pays up to $5,500 per year for undergraduate students carrying a full credit load. Families with more than one dependent are considered first, but all students who are having difficulty meeting tuition costs are advised to apply. The actual amount that may be awarded depends on the estimated cost of tuition and general student expenses only. Applying for this grant may involve the need to fill out a FAFSA or other documentation in addition to the standard form. Students and their families can learn about the Ohio Instructional Grant at regents.ohio.gov. This program is to attract former residents of Ohio to continue their higher education at a participating in-state university or college institution. Specifically, all high school graduates who leave the state are invited to return to attend college. The normal 12-month period before legally establishing residency is waived; therefore the student will immediately be eligible for in-state tuition rates. This program is funded by legislative action, so its continuance depends on the budget agreed upon in the state legislature each year. All students who graduated high school in Ohio and are living elsewhere are urged to take note of this program, which may offer them substantially lower tuition costs than those available in the state where they now reside, especially if they have not yet become domiciled in that state. In addition to the state opportunities listed here, students should of course remember the several federal grant programs available to them. These are not specific to Ohio, but are of course offered to anyone who is a legal U.S. citizen or resident. These include the popular Federal Pell Grant, the Academic Competitiveness Grant and the SMART Grant Program. Students seeking financial assistance will need to fill out appropriate forms and submit them to the college or university of their choice. Many public and private institutions in Ohio will require a completed Free Application for Federal Student Aid (FAFSA) in addition to their own application. Also, the state grant programs mentioned in Section I have their own set of documents that need to be completed. Veterans seeking financial assistance for themselves or dependents for the purpose of paying for higher education can contact the Ohio Regents Board or the U.S. Dept. of Veterans Affairs for information on required paperwork. One of the hassles of applying for student financial aid is the varying deadlines for submitting applications for the upcoming academic year. Many early-acceptance programs require high school transcripts and letters of recommendation before March or April, and students should contact the admissions office of the college as early as possible. The FAFSA itself is valid for the year beginning January 1; filling it out before this results in rejection for the following academic time period. The FAFSA application will be discussed in some detail here, because its purpose is linked directly to what colleges and universities require in order to accept student requests for direct financial aid from the institution. The State of Ohio allows grantees the option of reviewing this material as well, so it is vitally important to understand what this application involves. This application is necessary for any student wishing to obtain college grants from the federal government. It can be completed online at www.fafsa.ed.gov. Accumulate information about any other grants, loans or scholarships already in place. The FAFSA is over 130 questions in length, but students can fill it out over time, as the online system will save the information. This application is also available in paper form from the government or college admissions offices. The completed FAFSA is carefully reviewed and a Student Aid Report (SAR) is sent to the student and family. It contains a calculated Expected Family Contribution, which is the estimated amount the family can provide for their son’s or daughter’s higher education. Copies of the SAR are also sent to whichever college or university admissions office the student desires. The SAR is used as an index to determine the difference between the tuition, room and board (if any), and the student expenses for the upcoming academic year. As far as federal government assistance is concerned, the maximum amount that can be awarded is currently $5,500 per year. Federal law requires that any student wishing to obtain a grant for the federal government must reapply each year by submitting a new FAFSA. State grants in Ohio are often made upon receiving a copy of the SAR as well. As discussed in Section I, most of the Ohio state grants are need-based, with preference given to the students and families that are financially strapped. However, certain grants such as the Ohio Student Choice program, with no preference given, will have their own application procedure. The FAFSA should be completed as early as possible after January 1, as grant monies from the federal government as well as those administered by the State of Ohio are available on a first-come first-served basis. Many of the programs have a cap on the grant budget and the money can run out before all applications are submitted. This grant is considered only when a student completes a FAFSA and submits it to the government for the purpose of receiving a Student Aid Report. Because the grant is need-based, the amount of the Expected Family Contribution is the most important factor considered by the state. Looking at the tuition costs at the school where the student will enroll determines the financial gap between what the academic year will cost and what the student and family can afford to pay. The Ohio College Opportunity Grant will not necessarily cover all the remaining expenses, but it cannot be awarded at all unless a Student Aid Report is sent to the school of choice. Additional paperwork required for this grant may be required by the Ohio Board of Regents, but the communication between student and state is usually handled by the admissions office at the chosen university or college. A link to the financial aid office at all participating Ohio universities and colleges can be found here. The Ohio Third Frontier Internship Programs are administered by the regional grantees, and they should be contacted directly. Students already enrolled in school and wishing to undertake an internship should contact the financial aid office at their campus to see if the school participates. Applications are sent to the grantees who review the information and attempt to set up connections to various employers. 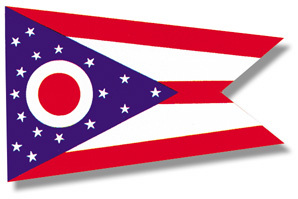 The State of Ohio has a partnership with all of its public and private universities and colleges to provide the forms needed for veterans who wish to establish a residency status in Ohio. The necessary paperwork can be obtained through the Department of Veterans Affairs, the Ohio Board of Regents or the admissions office at any higher education institution in the state. Veterans seeking financial aid through the Montgomery GI Bill should contact their branch of the military for the required information and forms. Also administered by the Ohio Board of Regents, this grant must be applied for directly through this state agency. It involves a completed FAFSA as well as documentation from the student’s high school. The application should be submitted as early as possible after January 1, even if a particular school has not been chosen. This grant program may have limited funding and students are encouraged to make this one of their first priorities when looking for financial aid. The earlier the application is completed, the better chance of receiving aid from this source. Apply directly at regents.ohio.gov. Although the application process can be somewhat frustrating, it is certainly worth the time to fill out this documentation regardless of whether the actual tuition costs are known. And applying for as many of these state grant programs as possible is key; not all applications will be approved, therefore exploring as many grant opportunities as possible results in a greater chance that at least one award will be given. Corporations headquartered in Ohio are a good source for finding certain grant opportunities. These companies are actively recruiting college graduates who are trained in the fields the company represents, and the demand for certain occupations, such as computer science and programming, aerospace, engineering and medicine, continues to rise, with fewer qualified applicants than what these firms would like. In an effort to attract the best-qualified applicants, grants are often made to students who are pursuing certain degree programs. As such, these grants are often degree-specific, meaning they are likely to be awarded based on the area of study. The first step in locating these corporate partners is to contact the admissions office or office of financial aid at a particular college or university. They will be able to offer a number of programs offering grants funded directly by corporations. The University System of Ohio College Access Information Hotline at 1-800-AFFORD-IT is a good place for the latest updated information regarding non-state grant opportunities. The local chamber of commerce in the student’s area of residence is another good source of information on corporate partners offering grants based on degree program. Many of the non-profit private institutions in Ohio are participants in the state grant programs, but some have their own direct grant offers. This funding is often from foundations and alumni, and although the total amounts awarded may not be substantial or affect a great many students, it is certainly worth looking into. Private schools often have higher tuition than public colleges and universities, and in an attempt to close this gap there is direct grant money available. These private schools are always in competition with each other to attract the most academically advanced students. Therefore, it only makes sense that they will find their own means to help cover the costs of tuition. Basically, students applying for direct grants from private schools will have to demonstrate a high level of academic achievement. Many early-acceptance programs for high school seniors offer an immediate chance at a direct grant from the chosen university. However, the application for financial assistance must be completed as soon as possible. In addition to providing grants, these private schools offer a number of scholarships. A scholarship is somewhat different than a grant, mainly in that it is awarded based almost entirely on academic achievement. An athletic scholarship, for example, covers the cost of tuition, room and board and certain expenses while allowing the individual to participate in intercollegiate athletics such as football, basketball or wrestling. However, the scholarship can be withdrawn if the student fails to maintain a minimum GPA as well as complete certain core courses on schedule. The scholarship does not have to be reapplied for as is the case with most grants, but it is also subject to taxes from the federal government in most instances. A complete list of the private schools and their financial aid offices can be found at ohiohighered.org. Receiving a grant from the State of Ohio can be a wonderful investment in the future of a young adult when it is used for the purpose of attending college. However, the rising cost of tuition at most institutions is having a negative effect on a family’s ability to pay for continuing education for their children. Even with grant money available, it is necessary for many to explore other avenues for closing the gap between what can be paid out of pocket and what the school demands for the purpose of instruction. To be realistic, most students currently attending college are able to do so through a combination of several financial aid programs. The great majority of undergraduates are able to complete their bachelor’s degree only by combining grants, loans and family savings. Many banks have special low-interest rate loan programs that are attractive. The family must use the funds at a later date for educational purposes, and there may be substantial penalties for early withdrawals. However, some banks have a direct partnership with a particular postsecondary institution, and students will often have the luxury of opening their own savings account or be eligible for a special credit card program in connection with the family’s student loan. The Ohio Nurse Education Assistance Loan Program is a state-administered program for Ohio college students who are enrolled at least half-time in a participating institution, specializing in the field of nursing, and in what is termed a pre-licensing education course. The funding source is through a surcharge paid by all registered RN and LPN employees on their annual licensing renewals. These loans average approximately $1,500 per year and repayment can be canceled in its entirely if the graduate becomes employed for at least five years as an RN or LPN in the state of Ohio. Applicants will need to complete a FAFSA and have the results sent to the Ohio Board of Regents. The Perkins Loan is one of the more recognized loan programs administered by the federal government. Unlike the Pell Grant, the Perkins Loan is made directly through the college or university and can be for amounts up to $4,000 per year for undergraduates and $6,000 per year for graduate students. The loans carry a 5 percent interest and the repayment is on hold until after graduation. Stafford Loans are unsubsidized loans that accrue interest while the student is attending school. These loans also require a completed FAFSA and the amounts lent range from between $2,600 and $18,500. These loans can also be applied for directly through a college or university financial aid office. This 529 program is offered to residents of Ohio as a way to help offset the rising costs of college tuition. It is administered by the Ohio Tuition Trust Authority and offers families the opportunity to open a savings account that earns considerable interest yet allows for withdrawals at any time. There is no enrollment fee and the savings can be transferred from one child to another. The withdrawals are free from state or federal taxes, and there is no minimum earnings threshold in order to enroll. The savings can be used for college tuition, room and board, books and other supplies, and special needs equipment. The program comes with a very broad range of investment options such as stocks, bonds and CDs. There are no age requirements for the beneficiary and account holders can deposit up to $360,000. For complete information about the CollegeAdvantage accounts, visit collegeadvantage.com. Ohio residents are bracing for the latest news concerning the cost of tuition at the state’s public and private universities, and the expected rise in prices for these schools is making it difficult for many to calculate just how much they will have to pay for on their own. A good practice is to use the services of the many online resources for calculating how much a college education will cost and why the estimates are being made. The Sallie Mae financial planner is one of the best online sites for helping to find solutions for college education costs. This planner is easy to use and will help determine the best choice for financial aid. They are found at www.salliemae.com. The ACT Financial Aid Need Estimator is another good resource for families wanting to calculate their Expected Family Contribution, their eligibility for certain grants based on need, and the average tuition costs at universities throughout the state. It is a very handy tool for creating a rough draft of the child’s college costs and can be accessed at www.act.org. The college cost projector offered at www.finaid.org is a useful tool for families to calculate expected expenses. This helps in understanding much of the terminology used when it comes to college financial aid. Ohio public and private colleges have admissions offices that answer many of the most frequently asked questions about financial aid, but it can be overwhelming to those who are just starting to explore the different options. A simple online tool is perhaps the best way to become familiar with the ways in which grants, loans and scholarships work, and the cost projector is easily navigated. Link to it here. Online colleges and universities generally charge about the same amount for instruction as do the traditional brick-and-mortar campus institutions. However, families can save a great deal on transportation costs, room and board, and other expenses. Although Ohio state grants are usually not available for students attending college online, these schools have their own financial aid packages that should be explored. Families are also encouraged to look at the federal education tax credits from the IRS. Many are not aware of the savings involved here, but the amounts paid by the family are tax-deductible for a variety of reasons. Both the American Opportunity Credit and the Lifetime Learning Credit are fully deductible from the federal income tax paid, rather than simply deducted from the taxable income of the family. Information can be found here. Families should also begin discussions with their student about his or her budget while attending classes at college. Many banks offer low-interest credit cards especially for newly enrolled students, and undergraduates are easily able to open a checking account at a bank branch located on or near the campus. Lastly, discussions with the advisory board at the student’s high school are a great way to begin the process of locating financial aid. Most high schools have a counselor that offers advice for students and their families when beginning the procedure of finding loans, grants and scholarships. The P.T.A. is another good source of information because many of these parents have already had a graduating senior now enrolled in college and receiving financial assistance from the State of Ohio, federal government or private source. Besides, these families have already undertaken the burden of planning a four-year budget for college and will have some excellent advice on the best ways to save, where the priorities lie and where new sources of financial aid are being found. The idea of utilizing more than one source of help for creating a workable budget and paying for college sounds rather daunting, but it is absolutely necessary for families asking for money in the form of a grant. The grant award will not cover the cost of tuition in most cases, and the family budget must be altered in order to make up the difference. The State of Ohio has a very deep commitment to helping each and every student receive the funding they need to attend college. This is without regards to ethnicity, income level, family history or the chosen field of study. Although not all grant programs are alike, there is one that fits the needs of every family, and the most important step in paying for a child’s college education is to explore every possible lead when it comes to financial assistance. The Ohio Board of Regents offers information about the various grants administered by the state as well as advice about the application procedures and the requirements for eligibility. The network that exists between this entity and the many public and private institutions for higher learning across the state makes it far simpler to gain the information needed to start the search for student aid. Every student in Ohio has the opportunity to receive a high school diploma, and every one of these high school graduates has the right to further their education in hopes of starting a successful career in the work force. The State of Ohio recognizes that the economy of the region will suffer if the young talents now ready for postsecondary education do not have the chance to realize their dream, and to this end is dedicated to the mission that no one should be left behind simply because they cannot afford school. Federal IDA grant available today for all students, US citizens, Refugees & anyone who are legally in Ohio state.